Let the (real) absurd bidding wars for PS4s loaded with PT on ebay commence! I can still play it. So you don't need a backup copy on a external hard drive if you already have it dl. the rare part makes me sad. 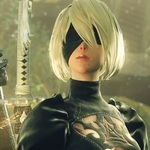 I can understand removing a teaser for a game that will never be released from PSN, but eradicating it to those who downloaded but deleted it? This seems rather excessive. Someone high-up at Konami really hates Kojima, apparently. Beat me to it, i was wondering if this was the part where i could sell my ps4 with pt on it for a ridiculously high price. I see so you can't even dl it anymore if you had it but deleted it. That's really pretty bad. I have it on mine a few other PS4s. I'm going to save it and wait until I can find a reliable way to store it on my PC or somewhere else. It's not that big of a file 1.3GB. Konami no doubt wants to erase all evidence of a product it will no longer put out, and hence the heavy handed tactics. 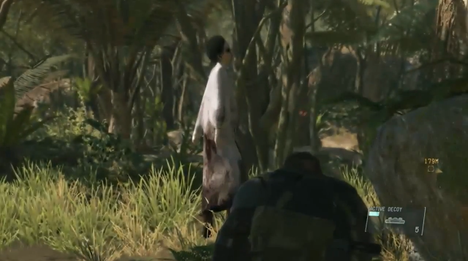 I wonder if the Lisa decoy in Phantom Pain will still be there. ^ That's a great idea! Not bad at all. But I doubt they'll use it. Inb4 someone cracks it and spreads the game all over the internet, forever. I bet it's less to do with Kojima and more to do with Norman Reedus' likeness / contract stuff with Reedus that lead to this action. That's what people were listing them as. I don't think anyone is actually buying them though. They actually banned people from selling them last I checked. ItÂ´ll happen. Guys living the IT life do everything with computers... so just a matter of time. The PT will be preserved through the internet and emulators like so many other things. If people can find a way to preserve and restore Resident Evil 1.5, this will be no problem. ^If anyone still hasn't backed theirs up, I made a video on how to do that. Even if you don't plan to delete it, PS4s can break, hard drive errors can happen, etc. so I have mine on a flash drive now so I could always reinstall if I want to. It's possible that they are still selling elsewhere, though. I wouldn't buy one even if I didn't have it and did have that kinda money to throw away, because I think it's also against the PSN TOS to transfer your stuff. I'd be afraid they'd deactivate my access to it anyway or something. The whole thing is insane anyway.